Our vineyard spreads over 6.3 hectares, on the crus of Moussy, Pierry, Chavot, Vinay, but also Bergères les Vertus. The three champagne grape varieties are planted in the following proportions: 45% Meunier, 45% Chardonnay and 10% Pinot Noir. Our vineyard is maintained in sustainable culture with plantations in mass selection. A natural grass of the slopes is also practiced, even on the more inclined hillsides. The old vines are preserved and we practice planting of seedlings between it, with a choice of quality and not quantity clone. For the wealth of the blendings, we prefer parcel culture. Indeed, our vineyard spreads over 35 plots of different exposures (North and acidic, South and solar…). Our vineyard is planted on two different type of soils : limestone for the elegancy and argilo-limestone for the roundness of the wines. Both oceanic and continental, our climate offers to the vine water in regular quantity and ideal levels of sunshine in summer. The three grapes varieties are planted in the following proportions : 45% Meunier, 45% Chardonnay and 10% Pinot Noir. Our grapes are picked at perfect maturity, to add the minimum amount of residual sugar. Listening to nature, we count 9 moons from the 1st Moon of January and harvest in his decline. Our vineyard spreads over 6.3 hectares, on the crus of Moussy, Pierry, Chavot, Vinay, but also Bergères les Vertus. This surface is composed of 35 different plots. Geobiology allowed us to neutralize the too full of energy, positive or negative to balance and improve the conservation of our wines on our production site. We begin to work on the same principle at the level of our plots, also with radionics and Busby rocs. 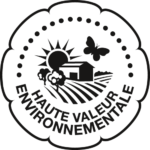 In November 2018, we obtained the high Environmental value certification (H.V. E). This certification comes to salute the fruit of our efforts to preserve our vineyard as well as our terroir. The washing waters, as well as rainwater, are retrieved for ecological purposes. No shedding and no pollution in the village network. 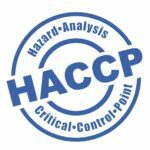 We are also engaged in HACCP (Hazard Analysis Critical Control Point). To make your visit unique, we can also organize tours of the vineyard in a limousine, discover the trails with your 4 x 4, make a lunch with the winemaker… do not hesitate to contact us to customize your visit.